A variety sports program, it is designed to introduce children to a different sport each week. Children will have fun exploring training aids like rings, cones and dots, sports equipment and other kid favorites like parachutes, bubbles, and noodles, all things we use to keep sports simple and make learning fun. This preparatory program will also features our original animation that makes learning different sports skills fun. Each Jelly Bean class kids will wear our Moveband activity trackers. They will track how hard your child works. One size fits all, they come in multiple different colors. Children, after a while, begin to anticipate entering the Jelly Bean classroom and choosing their watch and jersey's color. At the end of class, we push a few buttons and the watches your child's movements in steps and miles. Fielding, hitting, throwing, base running and more. It is baseball kept simple learning made fun. We focus on building young children's hand and-eye coordination necessary for children to effectively play baseball. We keep young children engaged using rings, cones, bubbles, noodles and our video-based learning. 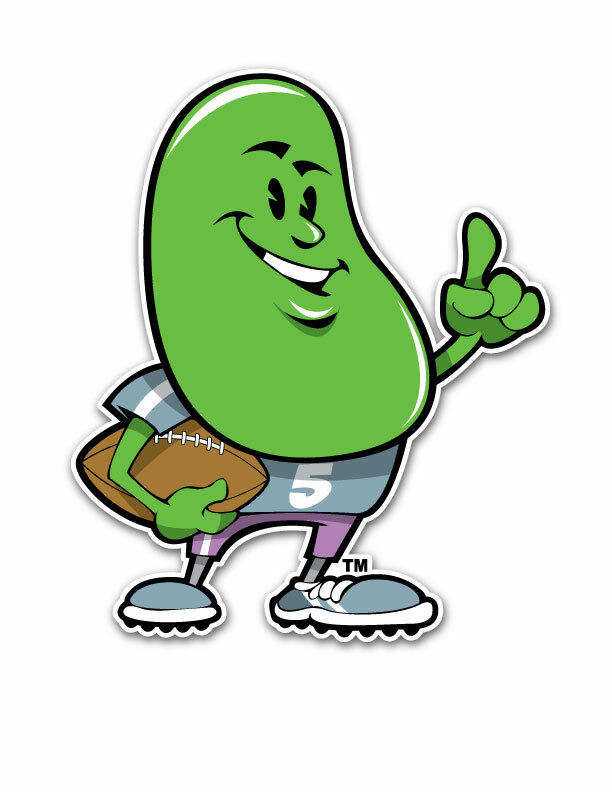 Our animation featuring Jo Jo Jelly Bean brings sports to life for young children. It’s baseball reimagined and redesigned with early learners in mind. Hand grip on the bat is an important part of hitting. This early learning video teaches you how to effectively teach young children how to keep their fists together when they grip a baseball bat. 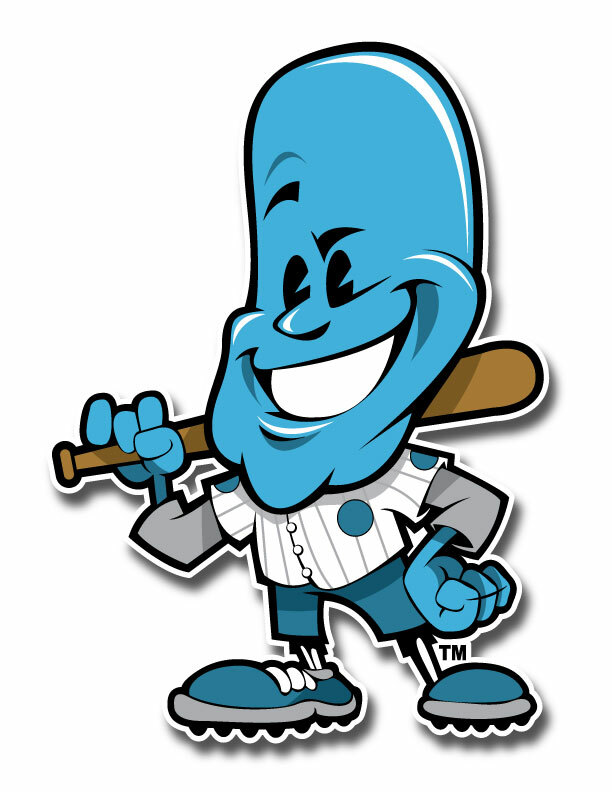 It is based on Jelly Bean Sports' new sports language terminology that involves aligning children's knuckles on the bat to create a caterpillar- Caterpillar Hands. An easy and effective hand-eye coordination drill is placing a baseball on top of construction cones. In this video, we show you how baseball is kept simple and learning made fun. It is a good challenge for toddlers that are still developing the wiring between their brains and large muscle groups. Have children hit the ball with their hands and ideally then move to do the same at another cone. Coaching young children to build focus along with hand eye coordination is a big challenge when baseball is thought about in the traditional sense. In this video we show you how to use kid-favorites, bubbles and noodles to accomplish the task. You quickly begin to see young children's focus thrives as they also have fun hitting the bubbles with their noodles. This video shows another coaching modification for teaching young children how to hit a baseball. It is a hybrid between using a tee and soft-tossing the ball for a child to hit. Air tees keep the practice of hitting simple and makes learning fun. Instead of a horizontal plane and baseball floats in a vertical plane testing children's ability to keep their eye on the ball. We use foam noodles for safety's sake and squish balls. The Jelly Bean Way is to keep soccer simple and make learning fun. Our tech-driven approach brings dribbling, passing and shooting to life not just through coaching but also animation, music, the integration of kid-favorites such as bubbles, noodles, cones and miniaturized soccer goals and balls. Our industry-leading innovations and thought leadership insures you are getting the best in early learning sports instruction. It’s a one-of-a-kind design for Next Gen early learning minds. This is a Jelly Bean Sports video about a soccer prep shooting activity for ages 3-5. Shooting a soccer ball is kept simple and learning made fun as kids get repeated practice trying to make the soccer goals dirty by shooting the ball into the clean soccer goal. This is a sample class video. It is taken from an actual class, one of Jelly Bean Sports' Preschool Program Enrichment partnerships. It provides you an excellent insight into how we work and children respond inside our early learning sports classroom. This particular example class is soccer. This video is a sample class video from our Libertyville, Illinois partner, Libertyville Sports Complex. It is a 2016 Jelly Bean Soccer Prep prep program for kids ages 4-5 years old. Experience the flavor of Jelly Bean and how we keep the momentum going with our highly engaging approach. Jelly Bean Sports takes a high-energy, entertainment approach to teaching dribbling, passing and shooting. Whether your child is a novice or skilled basketball player, our developmental techniques provide the perfect balance of challenge and fun. Integrating engaging video-based learning, story and training aides, we keep basketball simple and make learning fun. Set your child up for future team play success. Enroll Today! Basketball is kept simple and learning made fun as early learners are taught how to dribble the Jelly Bean Way. An introductory teaching technique that focuses on the ways that young children learn best, children ages 5 to 7 years old are challenged to dribble backwards and focus all their attention on the ball. This video is about how we teach young children to shoot a basketball the Jelly Bean Way. It is a unique translation that has much merit in consideration of what kids think about on a week over week basis. In many households, children are fed pizza at least once a week. They are very familiar with pizza and respond to talk and the terminology very well. We've used it to translate how to shoot a basketball and you can see, first-hand, why it works. Coaching young children to play defense can be a hard proposition. They don't always completely understand the value of a defensive stance especially if it makes their arms tired as you're teaching it. So we have to translate it in a way they can buy into and ultimately learn. This is one of those ways...The Jelly Bean Way. Basketball is kept simple and learning made fun as early learners are taught how to pass a basketball the Jelly Bean Way. This introductory teaching technique incorporates parents into the learning process. Getting children to pass correctly is very much dependent on how you set it up. In this video, children connect passing a basketball to a common farm animal. We help them learn the fundamental body positioning required when passing the basketball. The fun of kicking, carrying and passing are brought to life through obstacle courses, fun skill-building games, practice with parents in the football classroom. Children will build a general understanding of football terminology as they are introduced to our football 3-step animations presented in an instructional video format. Minature footballs simulate real footballs with laces give children a very real feeling of the game. A great sports addition to sample, great for both boys and girls. This video is about Jelly Bean Football Prep. It features our Carwash Drill. It teaches young children how to hold on tight to the football and break through sensory issues they might be battling beneath the surface.